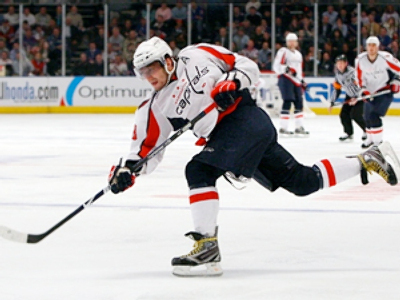 Aleksandr Ovechkin says he's ready to quit the NHL if he's prevented from playing in the 2014 Winter Olympics. At the moment, it's uncertain whether the league will allow a mid-season break for the Sochi games. RT caught up with the Washington Capitals forward, who also looks ahead to next year’s Olympics in Vancouver. RT: You are an ambassador for the Sochi 2014 Olympics. How do you feel about that? A.O. 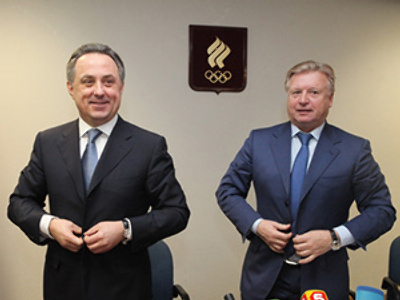 : I’m very proud of my country and I’m very happy to be an ambassador for Sochi 2014. RT: Unfortunately we don’t know whether the NHL players will be allowed to play in Sochi. How are you going to feel if you are not allowed to play in Sochi? A.O. : I will be there. RT: Even if that means you leaving the NHL? RT: So if push came to shove, you would leave the NHL to play in Sochi? RT: Have there been any talks about allowing NHLers to play? A.O. : Well, right now it’s a long way to the Olympics. Let’s wait for what is going to happen when the Olympics will be closer. RT: Again, for the second season in a row, the Russians really dominated the scoring charts, both in assists and scoring points… How do you explain this dominance of Russians in the NHL? A.O. : Russian hockey players are now probably the best players in the world. You can see it – we have won two championships in a row. And Russian guys are the best in the league, so it’s a good feeling for our friends. RT: You can teach people to play good hockey. But I think one thing that Russians have is flair… You can’t teach those sorts of things. A.O. : Well, it’s a natural thing. RT: But this all bodes well for the Olympics? A.O. : I can’t wait to go to the Olympic Games and win the Olympics and a Stanley cup. So probably one year. RT: Which is more important? A.O. : Soon it will be the Olympic Games, so the Olympic Games and after the Olympic Games, the Stanley cup. RT: When I think of a top line of you, Kovalchuk and Evgeny Malkin, that’s an incredible top line. A.O. : You can see what it’s going to be in the Canada line, Swedish line, American line, so everything is going to be crazy and this probably is going to be one of the best tournaments in the history of hockey. RT: Do you think the fact that you’ve beaten the Canadians the last three times you’ve played gives you a psychological advantage? A.O. : Well, of course it’s a good feeling when you beat a good team three times in a row, but every year, every moment, every game is a different game, so you never know what is going to happen. RT: You said it would take about five years for the KHL to catch up with the NHL. Do you still agree with that? A.O. : You can’t build a good product in a year. It’s going to be a long way. But I hope it’s going to be a good way, so I wish the KHL good luck in my most sincere way. RT: You’ve signed a 12-year contract with Washington, so you obviously are not going back to the KHL? A.O. : You never know what is going to happen tomorrow. RT: Your colleges in Washington – Kozlov and Sergey Fedorov – obviously have gone back to the KHL. How big a loss is that going to be for you? A.O. : Well it’s a big loss for our team. But you know it’s life and you can’t keep everybody together every time. They chose their different way, so I wish them luck again. RT: How much did these guys help you in Washington to settle in? A.O. : They helped me all the time and they helped the Russians, and Canadian guys… They have great experience, especially Fedorov. That guy was amazing for our team, and especially for the young guys.